EA Sports' raging bull crashes into shelves on Tuesday, with an M-rated look at the sweet - and brutal - science. Fight Night Champion (Xbox 360, PS3) - EA Sports' storied fight franchise brings 50 boxing greats and an all-new, gritty narrative, "Champion Mode," in which you fight from the prison yard to a championship bout. Rift (PC) - Already underway for those who preordered, this fantasy MMO delivers players to Telara, where worlds collide. March 8: Deus Ex: Human Revolution, MLB 11 The Show, Major League Baseball 2K11, Dragon Age II, Pokemon White, Pokemon Black, Patapon 3. March 15: Homefront. Yakuza 4. Top Spin 4. March 22: Crysis 2. Lego Star Wars III: The Clone Wars. 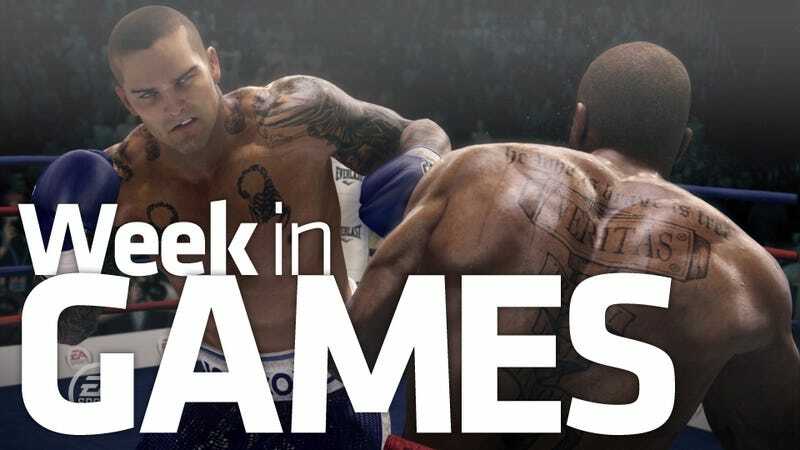 March 29: Tiger Woods PGA Tour 12: The Masters, NASCAR 2011: The Game, Shift 2: Unleashed, WWE All Stars.